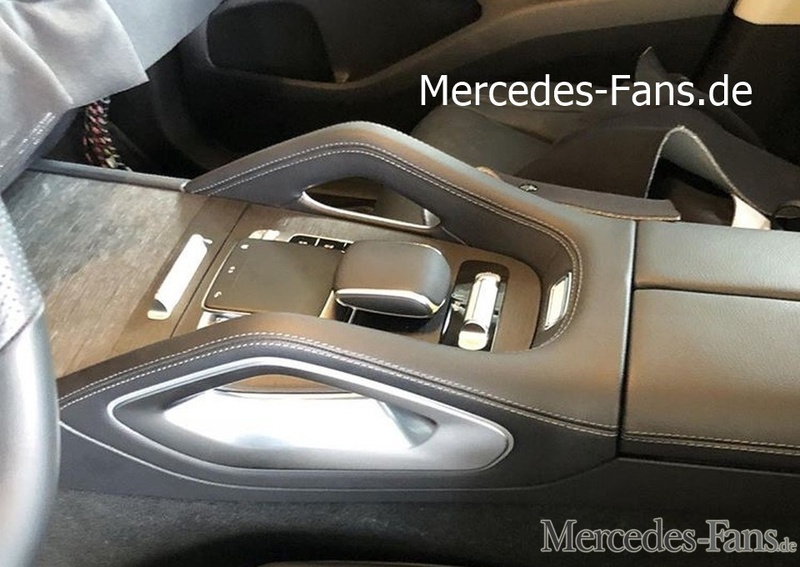 The 2019 Mercedes GLE has a slightly different interior layout from other recent new generation Mercedes-Benz models. The fourth generation Mercedes GLE (codename: Mercedes W167) has an entirely new interior design that is a whole lot classier and in line with new generation models including the Mercedes G-Class. The 2019 Mercedes GLE’s new steering wheel likely with touch-operated controls, fully digital instrument cluster merged integrated with the new central display, seat-shaped seat adjustment controls, lower centre console and many other elements give the GLE the much-needed freshness. The dashboard looks a little different because of the uniquely designed air vents, possibly six of them for the front passengers, however. Another detail is the leather-clad grab handles on the centre tunnel, a feature not available even to the all-new Mercedes G-Class. The MHA RWD platform underpins the all-new Mercedes GLE. Mercedes-Benz will likely offer it with a wide range of four-cylinder engines and six-cylinder engines, all likely paired with a 9-speed automatic transmission. The six-cylinder engines will come with a 48-volt mild-hybrid system. A plug-in hybrid variant is a given, but unlikely to go on sale at launch. A souped-up 2019 Mercedes-AMG GLE 63 replete with the Panamericana grille and a steamy 4.0-litre biturbo V8 is already in the works. It will come in two models, a base 63 and a more potent 63 S. The handcrafted AMG engine is expected to come in a tuning state of 571 PS/750 Nm and 612 PS/850 Nm in these models respectively. That’s not all, Daimler’s high-performance vehicle specialist from Affalterbach has one more performance variant to offer this generation, called Mercedes-AMG GLE 53. This entry-level variant will sport a 3.0-litre inline six-cylinder turbocharged engine delivering 435 PS and 520 Nm of torque. The all-new Mercedes GLE features leather-clad grab handles on the transmission tunnel. The next-gen Mercedes GLE could have its public debut at the 2018 LA Auto Show and go up for orders towards the end of the year. Expect the new SUV in India next year.